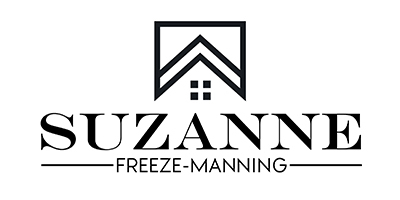 "I highly recommend Suzanne Freeze-Manning as a realtor. I interviewed several realtors before interviewing Suzanne and knew right off the bat she was the one I wanted to use after meeting her. I have used other realtors in the past and Suzanne blows them out of the water. Not only is she very knowledgeable and up to date with the real estate market, but she is energetic, creative, a go getter and a hard worker, not to mention many years of experience. She knows what needs to be done to sell your home, or to buy and gets it done. She sold our $3,000,000 home in a slow real estate market in 3 months! She is great about walking you through all aspects of the sale and contract. Suzanne can easily be reached by phone, text, or email at anytime. She is prompt about getting back to you. She is honest and ethical. We have experienced quite the opposite with another realtor and I can't say enough good things about Suzanne. You will be so happy you decided to use her. We were so pleased, we had her help us buy our next home. We bought the home we are in now during a strong market and multiple offers going on. Suzanne reacted quickly to our interest in the home, asked all the right questions to the seller's realtor, helped put a strong, clean offer together and we got it! The home we dreamed about owning. She was on top of the property inspections and did all the due diligence. She made herself available to help schedule the house to be tented, among other things that needed scheduling. If we have any needs in the future for selling or buying, we will go straight to Suzanne. She is top notch and no need to look further! Rest assured, Suzanne makes things happen!" "We were extremely fortunate to have Suzanne as our realtor. Having had so-so experiences with other realtors in the past, we were thrilled with the job Suzanne did for us in selling our house and purchasing our new one. Suzanne is very hardworking and a great communicator who kept us updated regularly throughout the process. She made sure we were well informed and comfortable with all our decisions. Suzanne is very well connected in the market and helped us tremendously with finding contractors and other services we needed before moving into our new home. We love our new home and we are convinced that we wouldn’t have gotten if we had another realtor other than Suzanne. We can say with confidence that you will not find a realtor that will do a better job than Suzanne." "Suzanne is a terrific realtor. As a Mortgage professional I work with a wide range of realtors and Suzanne is one of my absolute favorites. When working with buyers, unlike many Realtors who make offers, Suzanne get's her clients into contract on the house they want. She does this by understanding the market, the value of the home and then puts together a compelling offer. Because she is well known in the industry, is a strong negotiator and a reliable agent listing agents like working with her. One of the things I truly appreciate about Suzanne is that she stays calm and in control whatever happens. She understands her profession and works with everyone to accomplish the goal - to buy a new home or sell their current one - without drama. If you are looking to buy a home or sell your home I can say without reservation that I would strongly recommend Suzanne Freeze. She is one of the best!" "I had many options when listing my home but I never considered anyone but Suzanne. She possesses all the qualities needed in a top real estate agent. Her professionalism, attention to detail and industry knowledge takes the worry out of such a large transaction. Suzanne knows the neighborhoods, market trends and has the best negotiation skills of anyone in business. Whether you are buying or selling you could not have a better person by your side." "From our first meeting with Suzanne, we felt that she was just the sort of person to inspire confidence, accurately assess our needs, give us options and suggestions, and guide us to the happy conclusion of our home sale. She was very professional, very personable, always punctual for her appointments, and was with us every step of the way, minimizing any disruptions for us in every way possible. She went above and beyond in all aspects of our sale, which was completed almost before we knew it, and for above the asking price. For us, it was a painless process. She also had a great network of people to contact if help were needed for repairs, packing or moving to our new location. We would highly recommend Suzanne to either buyers or sellers, and know that they would have a most competent representative." "My immediate family has used Suzanne Freeze to buy and sell five different properties in the South Bay in the past three years and we wouldn't use anyone else. She goes above and beyond the average agent in detail work and shares with us as much (or in some cases as little) information as we request. She has also repeatedly extended herself to get as much money and perks when selling and wants to pay as little as possible and get the most perks when buying. Everything a client could ask for!" “I wanted to write a short note about my experience with Suzanne Freeze, our Coldwell Banker Real Estate Agent. First, let me tell you that working with her was a pleasure and my family and I felt that she empathized and understood the feelings we had in selling our childhood home that belonged to my late mother with all its baggage and memories. She was very open with us and clearly explained all the options we had and how she would proceed depending on what we decided was the best way for us. Her friendly approach and clear explanations gave us a feeling that we were in excellent hands of a knowledgeable professional that would work extremely hard for our family. Once the decision was made on what we wanted to do, she proceeded to present it and received several offers on the first attempt, with the winning bid for cash, no contingencies and a 14-day close that we accepted within the same week. It was easy and painless. I truly believe that it takes a prepared, experienced and dedicated Real Estate Agent to make it seem so easy. I know that there are thousands of Real Estate Agents, but dealing with a prepared and consummate professional that has the required resources available to her with a top notch Agency will always make the difference. "Suzanne Freeze has been my agent for both buying and selling homes, and has worked with my sister and mother on the same. Suzanne is hands down the most professional, personal, and helpful real estate agent I have ever worked with. She has, at times, astonished me with the speed and thoroughness in which she tackles any questions or issues I have, all of which have come to a happy resolution. I once overheard Suzanne talk tough over the phone with another agent. I was delightfully surprised to hear her "inner bulldog" as she is usually so cheerful and upbeat, at least with her clients. My sympathy to anyone she goes up against! I recommend her, wholeheartedly, to my friends, colleagues, and acquaintances, and now, to you." "We had a great experience with Suzanne as our realtor this past year, and would choose her over anyone each and every time! Insightful about what needed to be done to our home prior to our listing, and helped us each step of the way in getting appointments set up, and all our ducks in order, so the selling process would be quick and easy on our end. or answer any of our calls or emails, no matter how urgent, or how silly, our questions or comments seemed. Suzanne acted with class and experience each step of the way! We just really appreciate all that she did for us! Suzanne was definitely in our "corner of the ring" so to speak, and exceeded our expectations from the first time she came over, to when it was time to take offers on our home. She did all the negotiating with us sitting with her, and spoke with confidence as she got us the very best price and deal that we never imagined was even possible!! We were amazed! If you would like to talk to us personally (since we are still neighbors) please just stop by for a quick hello, and we would be more than happy to share our experience with you!" "For many of us, the purchase or sale of a home is one of the largest personal transactions we will make in our life. After going through the process of selling one home and purchasing another, we fully appreciate that selecting a capable real estate agent is critical to the process. SUZANNE FREEZE is one of those very capable agents. We started working with Suzanne almost 3 years ago by first discussing our desire to sell our current home and down-sizing to another. Working together, we narrowed down the type of property that would fit our needs. Suzanne spent a great deal of time presenting options with a huge amount of patience. She was genuinely interested in and focused on helping us find the property that would be suitable for us. Upon putting our home up for sale, Suzanne again worked with us to develop a strategy and well-thought out marketing plan. The plan resulted in us receiving top dollar for our property. We attribute the success to Suzanne's in-depth understanding ofthe real estate market and her experience, backed with a strong support team at her agency, and in the real estate community. You will find Suzanne to be an excellent negotiator as well as communicator keeping all parties well-informed. She is also one of the hardest workers we have encountered. We found her to be very proactive and diplomatic with the challenges that occur in a major real estate transaction. Suzanne's demeanor is well-suited for keeping the process even and flowing smoothly. We highly recommend Suzanne to manage any of your real estate needs." "We personally know many real estate agents but when the time came to choose an agent for the sale of our home we chose Suzanne Freeze for several reasons. She is knowledgeable, professional, has great negotiation skills and is motivated. Suzanne provided us with outstanding advice regarding the asking price and how to prepare our home for maximum results. Consequently, within one week of listing the house, it sold for over the asking price. Our real estate experience with Suzanne can be summarized in two word: Top Quality." "I wanted to formally thank you for the fantastic work you did for me in selling my existing home in San Jose and in helping me purchase my dream home in Almaden. Your insight, advice and knowledge of the market allowed me to sell my home within a week, while other homes in my old neighborhood are still sitting there with For Sale signs on them - reducing their prices by the month. I also learned that I got $20,000 more for my home than the exact home located five doors down! I feel so fortunate to have chosen you as my realtor. My sale was tricky and other homes weren't moving, but you navigated the situation perfectly. I would have never known how to do the marketing and contract negotiations that you did for me. Thank you! On the flip side, I am convinced I wouldn't have secured my home in Almaden if it weren't for you. You helped me prepare an awesome offer that won over others who offered even more money. I know I paid below market value for my home. You advised me very well. Suzanne, you are a true professional. Thank you for the insight, focus and care that you dedicated to my transactions. This was the second time I've used you and it was just as successful, if not more, than the first time I hired you. I will definitely refer you without reservation to friends, family, or to anyone who is looking for a professional who can negotiate and market a high end deal, a deal requiring special attention, or any complicated transaction. You definitely know what you are doing. I wish you well in the future!" "I will refer you to every friend of mine in need!! You are the best realtor I have ever worked with. You sold our home as if you were selling your own home, which really built trust between us. You not only have a great attitude, but you also have the ability to sell in a tough market. The price we got exceeded our expectation! Isn't that what every seller wants? We feel like you are a great friend to us, and that you care about our family. You are my two­ year-old daughter's favorite "aunt!" Our home was located in Blossom Valley, which has average home price of about 500K to 600K. Our home was a newer home, and one of only about 30 homes, with a price range of about 800k - 900k. This alone made selling the home extremely tough. In addition to this, when we put our home on the market, our neighbor with the exact same floor plan had their home on the market for 3 months, with no offers. You sold our home in 2 weeks with a price that exceeded our expectations!! It was a great, great experience working with you-you are an artist at your job. Your selling strategy worked like magic." "I was in a bind. I made a last minute decision to sell my Saratoga home so I could move into a different school district for my son. It had to happen quickly, but I didn't want to lose my shirt on the deal. Suzanne kicked into gear and got everything arranged from listing to marketing to staging to hosting open houses. Within 4 weeks of making that decision I accepted an offer that gave me the profit I wanted with completely as is conditions. Suzanne even negotiated a free month of rent while I packed and got out. She absolutely took care of everything and I in turn got more than I had hoped for. I highly recommend her to anyone selling their home." "Suzanne Freeze is a superb realtor with our highest regard. This spring, she helped us sell our home and purchase another home in Almaden Valley. Both transactions went very smoothly. Suzanne gave us sound advice and took take care of all the details from inspections to helping us "spruce up" our former house and get it on the market quickly. Suzanne sold our former house in less than a week for over asking price! She listened to what we were looking for in our new home and accurately advised us on making a competitive offer when we found it. Suzanne also went above and beyond in overseeing renovations on our new home while we were away on vacation just after closing escrow. We found that buying and selling a home is a big decision both emotionally and financially. In Suzanne we found a realtor who was trustworthy, responsive to all our questions, knowledgeable about the Bay Area real estate market, dependable, organized, and got things done quickly and correctly. Suzanne is both professional and personable. We truly enjoyed spending time with Suzanne, as did our young children. Working with Suzanne definitely helped make a stressful time much more manageable! We are now enjoying our new home and are so very happy that we selected Suzanne to help us. We highly recommend Suzanne Freeze."